Welcome to VFW Post 1157 Web Site! Welcome to the Veterans of Foreign Wars, Post 1157 website! 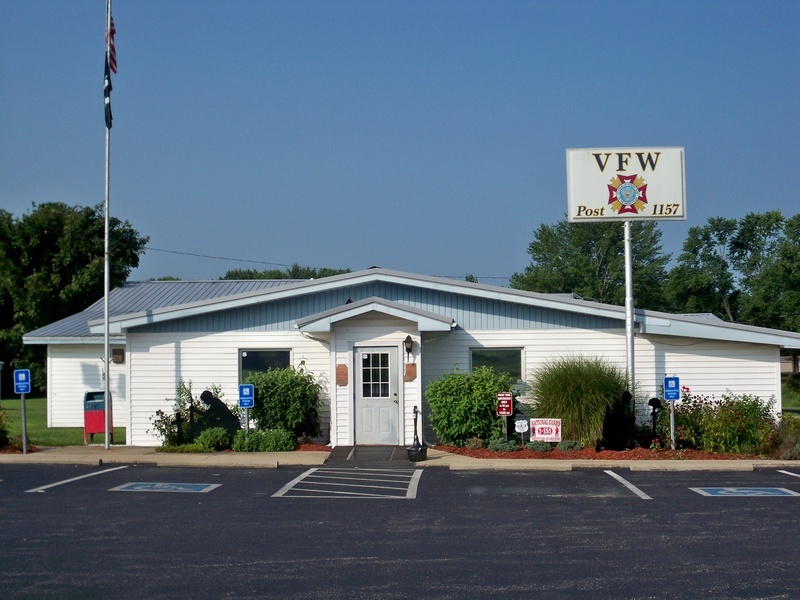 This site will give information about the VFW Post 1157 located in Vincennes, Indiana. Here you will be able to find a calendar of events, information about officers in the Post, Ladies Auxiliary, and Men's Auxiliary, and other important things. Check back often to see the changes to the site. ***The Treasure Hunt is still going!! Come on out EVERY Friday Night at 7:00 p.m. for your chance to WIN some MONEY!! Jackpot is at $10,712!! Tickets are $1.00 each. Cut-off on ticket sales is 6:45 p.m. The Drawing is OPEN to the Public!! Half and Half tickets are also available! The Kitchen will also be OPEN from 5:30-7:30 p.m. There are New Events on the Post Events Page!! Check them out!! There is a New Page on the Web Site! Check out the Important/Helpful Links page to get all kinds of information about the VFW and Auxiliary. ALL DRAWINGS ARE HELD AT 8:00 p.m.